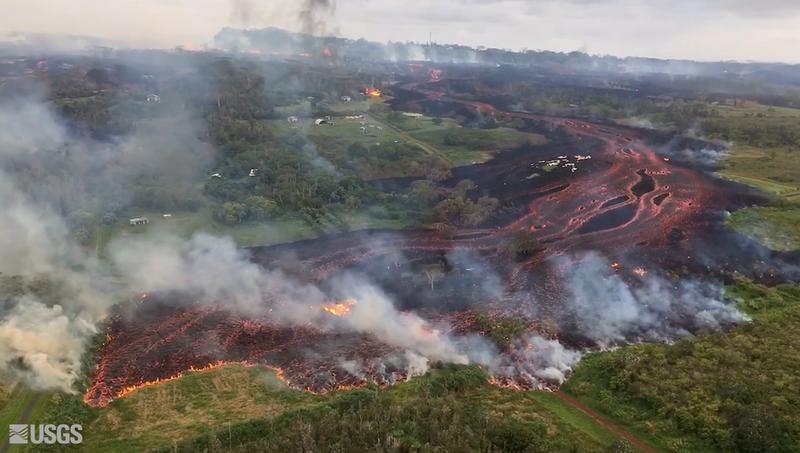 Fissure 8 continues to pump out vast amounts of lava, although it’s slacked off a tad from yesterday’s 260-foot display. One of its fingers burned a building or two at PGV. Other lobes closed in on Kapoho throughout the day, touching Highway 132 again half a mile north of Four Corners at 3:30. Fissure 18, which has been sending a flow east and down towards the ocean, has pretty much stalled apart from some small breakouts. Authorities were ordering Kapoho-area residents out today before lava cuts their only remaining road to the rest of the island. Update: just as I was about to hit post. I see what they mean about the Leilani fissures further west (uprift, towards the camera) reactivating today. It’s 11:06 PM in Hawaii; second screengrab an hour or so later. I was about to hit post, when I saw erstwhile reporter Mileka Lincoln and her crew posted this. Wow. Volcanologist Erik Klemetti pulls everything together for us, reviewing how the Leilani Fissure lava eruptions and the summit ash/steam eruptions have progressed. 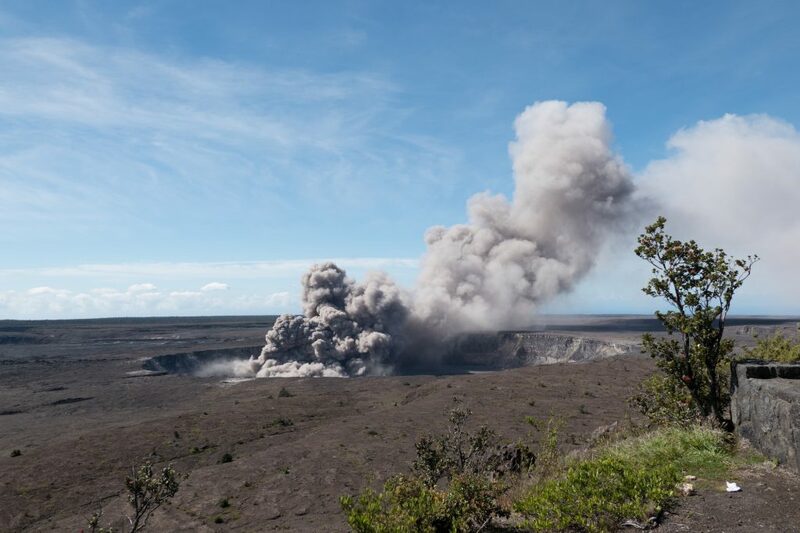 The eruption at Kīlauea is still captivating the nation, as it should because this volcano hasn’t behaving like this in almost a century. 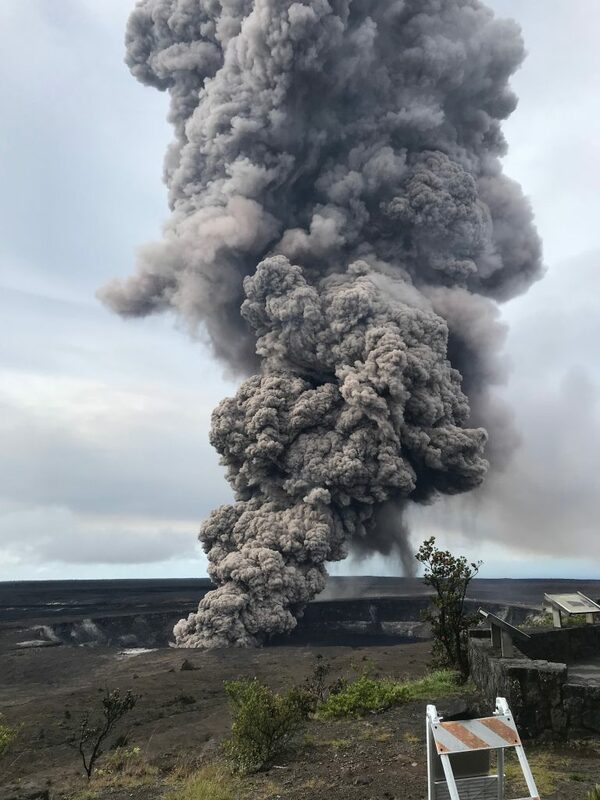 I thought I’d take a moment to step back and review of the main events so far and what it might all mean for Kīlauea and the people who live around the volcano. These eruptions are separated by a long way if you look at the satellite data and should almost be treated at two different events..
Also, here’s today’s CivilDefense briefing and BigIslandVideonews’ splice of afternoon USGS briefing with geologist Carolyn Parcheta plus recent video footage. Here’s a summary and primary sources collected by HVO geologist Don Swanson on a 1790 explosive episode of Kilauea. If I’m understanding correctly, they’re saying that bigger explosions may happen when there’s a lake of water, i.e. more fuel to create steam. 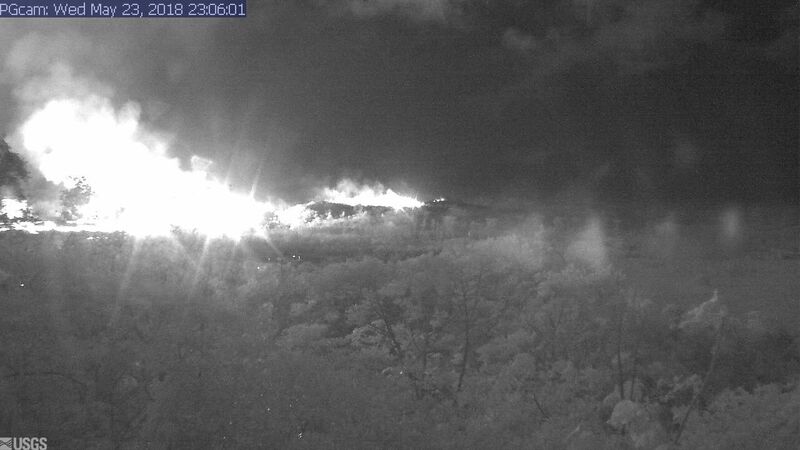 Note: that’s a new caldera, the much larger basin containing Halema’uma’u crater within it, and the vent that’s erupting ash explosions right now was a small lava lake covering only part of the floor of Halema’uma’u. Orders of magnitude different in terms of size. Also, changing the location of the active vent doesn’t mean the magma supply inside is dropping. 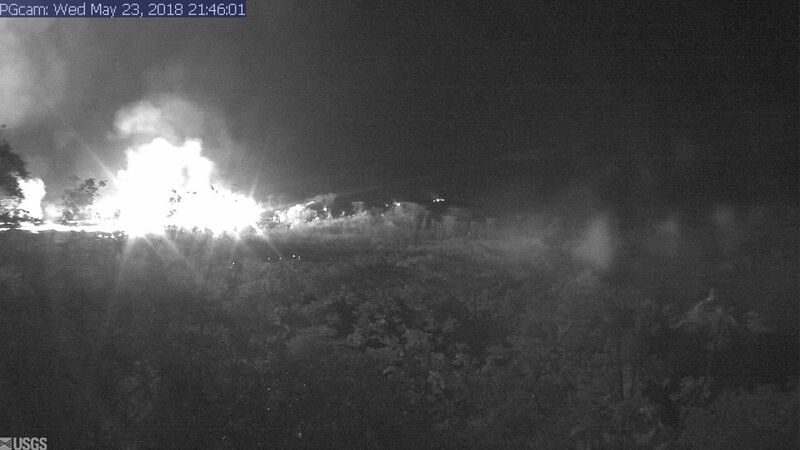 Rockfall into Halema’uma’u lava lake sends up plume of ash, 8:27 May 9. Rockfalls caused poofs of ash like this even back when the lava lake was full, but that was more than usual. (See also USGS video from May 7, when lava lake was still visible, showing how falling rocks agitate it). 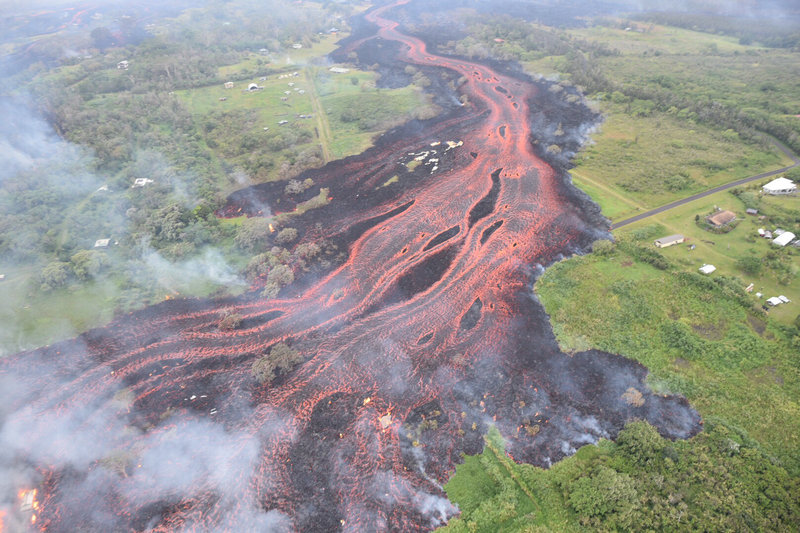 …prompted HVO to issue its first warning about steam explosions if the lava dropped below the water table. HVO Scientist-in-Charge Tina Neal gave an EXCELLENT evening briefing on the first 24 hours of the Leilani Estates Eruption, explaining very clearly what was happening and why.